Switzerland has a diverse metal scene. Power Metal, Pagan or Symphonic Metal. In all styles, there are many very good bands. And although I already know many bands from our neighboring country, I always discover something new. So I’ve recently received an e-mail with the promo of the symphonic metal band Deep Sun. Deep Sun was founded back in 2006. But it was only in 2013 when the EP “Flight Of The Phoenix” was released, and three years later the debut album “Race Against Time”. The Swiss were also active live. They were on stage with bands like Eluveitie, Xandria, Sepultura or Crystal Ball. The third release is a concept album that discusses artificial intelligence and advances in technology. “Das Erbe der Welt“ (The Heritage of the World) was produced by Markus Teste in the Bazement Studio. The lyrics are written by the singer Debora Lavagnolo, the compositions were written by Angelo Salerno, Tom Hiebaum or Pascal Töngi and then worked on by all the band members. Genre atypical, the Swiss hold not only on with an intro. But start with “Relentless Resistance”. Powerful guitar, driving drums lay the foundation for Debora’s soprano. She elicits the highest notes from her voice. Most of them are also sung clean. In “Heroes” then pop double bass attacks. There are also playful keyboard passages to hear, while the bass provides for the low notes. “Worship the Warship” sounds quite progressive at times, but has a hymnic refrain. A very bulky mélange. The title song “Das Erbe der Welt” is the only song with German lyrics, a sentimental ballad. At the end, Deep Sun try a song with extra length. “The Raven” takes fifteen and a half minutes. After a bombastic intro it’s extremely fascinating progressive to work here. 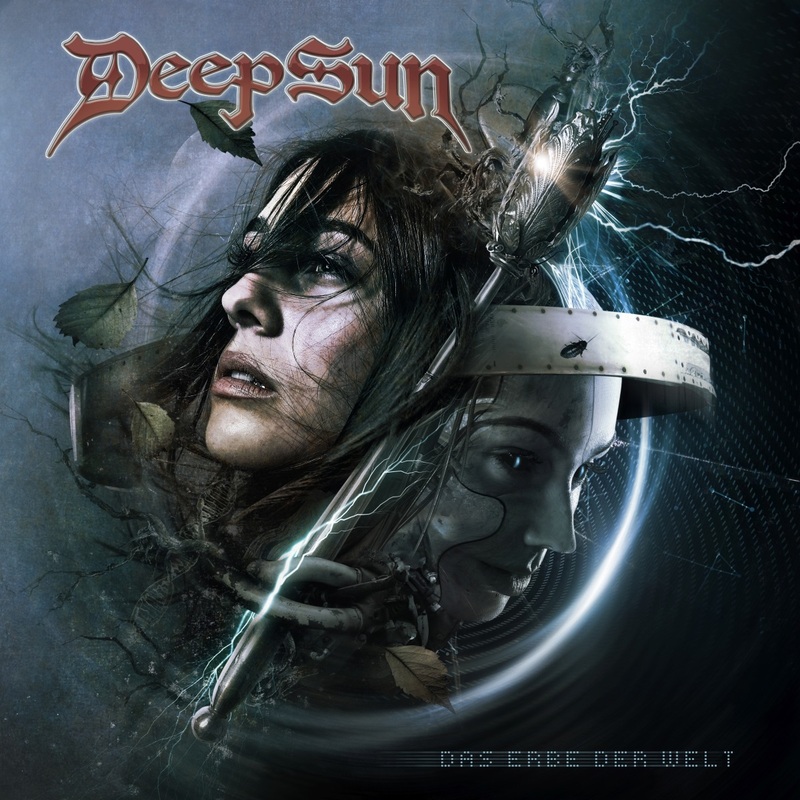 Here Deep Sun once again are extremely progressive. In addition to the soprano, epic choirs can be heard. There are many melody and rhythm changes. At the very end, the vocals also sound dissonant. When listening to the album I have mixed feelings. Certainly, here are excellent musicians at work. And you also get to hear everything you expect on symphonic metal, beautiful melodies, pounding riffs, great hooklines, operatic vocals. But I think that’s a bit of everything too much and too much confusion. That reduces the listening pleasure a bit. I do not know if that’s because of the album concept. I liked the debut of the Swiss better.